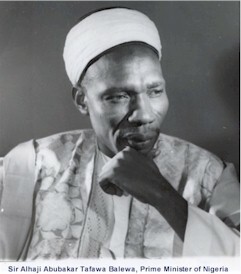 BALEWA, ALHAJI SIR ABUBAKAR TAFAWA [Balewa, Alhaji Sir Abubakar Tafawa] , 1912-66, Nigerian political leader. He was born Mallam Abubakar. After studying to become a teacher, he held a series of posts in education and then became a member of the Northern Region house of assembly in 1947. Later (1951), he was elected to the federal house of representatives. 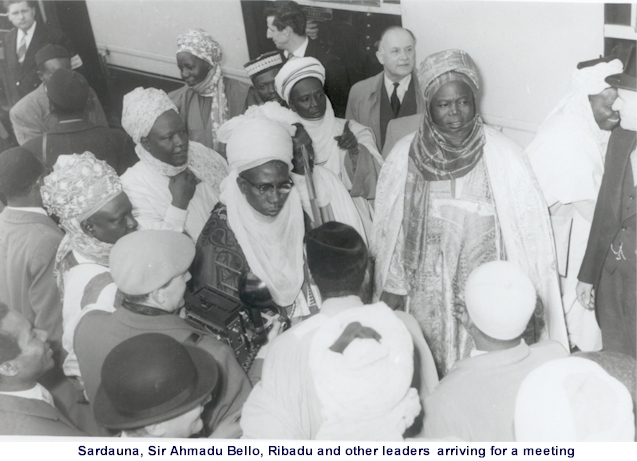 He was appointed the first prime minister of the Federation of Nigeria in 1957. When the federation became independent (1960), he retained his office. He was a founder and deputy president general of the country's largest political party, the Northern People's Congress.